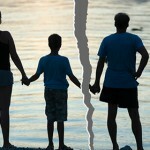 There are a number of reasons that bring people to a place where they consider divorce as an option. In many cases, lack of trust can be a major issue in a marriage. This lack of trust can manifest itself in many different ways, and at some point may become too large of an issue to ignore. When this happens, especially in cases of infidelity or other acts of dishonesty, some people come to the realization that, for them, their marriage is irretrievably broken. 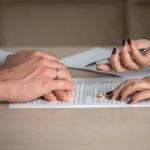 A marriage that is irretrievably broken is eligible for a divorce to be granted if other requirements for filing for divorce in Florida have been met. In these cases, a spouse that believes he or she has been lied to may be tempted to try to gain information or proof from the other spouse in order to strengthen the case for divorce. It is extremely important that people are aware that attempting to collect this type of information must be done within the parameters of Florida privacy laws or the spouse trying to strengthen their case could in fact become liable for criminal or civil penalties. Civil actions may include being sued for invasion of privacy, and criminal penalties could include jail time. 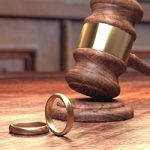 The potential consequences of breaking these laws are another strong reason why people should not consider representing themselves in a divorce proceeding. One of the most common ways people come up with to catch another person being dishonest or confessing to something is to record a conversation. Some people may want to record conversations had on the telephone while others may try to record conversations had in person. Under Florida law, regardless of which method to choose to attempt recording a conversation with another person, you cannot record such conversations without informing the other person that you are doing so. Chapter 934 of the Florida Statutes addresses surveillance the the security of various forms of communication. Virtually all methods of communication are addressed by this statute, and there is little room around the protections it affords private citizens regarding their personal communication. While you may feel strongly that violating these protections will help strengthen your case, some violations of this law could result in a prison sentence of up to five years. 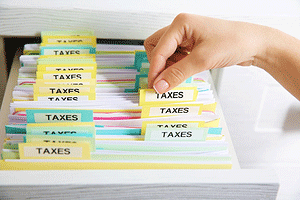 Additionally, any information you obtain through illegal methods cannot be used in your divorce proceedings. Ultimately, there are no concrete advantages to breaking privacy laws in Florida. You will ultimately end up doing a great deal more harm than good. Just as recording a conversation without informing the person being recorded is illegal in Florida, so is breaking into emails or cell phones to obtain personal electronic communications. It may seem tempting to use a device or application to gain access to private or confidential electronic communication to prove a point or gain information you believe may strengthen your case in a divorce proceeding, but doing so carries potential criminal and/or civil penalties under the same Florida statute noted above. At the end of the day, there is no good reason for you to violate Florida privacy laws in order to obtain damaging information on your spouse. The information you obtain cannot be used in court, and you risk potentially severe criminal and/or civil penalties for obtaining it without the other person’s knowledge. Divorce is not an easy process, but the threshold for qualifying for a divorce in Florida is lower than in some states. 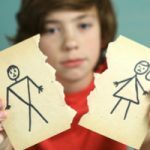 In Florida, if you meet residency requirements for divorce then you must only prove to the court that your marriage is irretrievably broken. If your spouse does not contest your assertion that the marriage is irretrievably broken, the divorce process is referred to as being uncontested and a court may grant a divorce after formal proceedings are complete. On the other hand, if your spouse does not agree that the marriage is irretrievably broken, you may be looking at a contested divorce. While the contested divorce process will likely take more time and energy, there is no benefit to be gained from illegally gathering information to prove your assertion that the marriage is irretrievably broken. Since Florida law does not require a spouse to prove adultery or other specific actions in order to qualify for divorce, not only can the information you illegally obtained not be used in the divorce or other related proceedings but it will also serve no purpose in increasing support amounts you may be entitled to or in expediting the divorce process. In fact, it may lengthen the divorce process because of the need for separate hearings or proceedings surrounding the illegal obtainment of information. There are many different laws involved in the legal process of a divorce. It is important that you select a family law attorney that has experience in handling divorce proceedings. As you can see, the consequences of making a mistake in how you approach a divorce can be severe. Not only can a mistake cost you money that you may otherwise be entitled to, but attempting to catch your spouse by illegally obtaining information can land you in jail. A family law attorney with experience handling divorces, like Scott J. Stadler, can help you understand the Florida divorce process more clearly. Your attorney can also help guide you by providing legal information about what actions you can and cannot take depending on the circumstances of your case. For more information about the divorce process or related questions, contact the law offices of Scott J. Stadler to schedule a consultation.